Do you remember laying on your belly with your cousins playing "Hungry, Hungry, Hippos"? Well here is your chance to play it as a life-size way! Are your kids "hungry" for something new, fun, and exciting? Look no further! AMJSE has a giant, inflatable "Hungry Hippos" game ready for your next event! This game will get your kids up and moving as they try to grab the balls from the middle of the inflatable. Children are harnessed in for their safety and up to four children can play at a time. 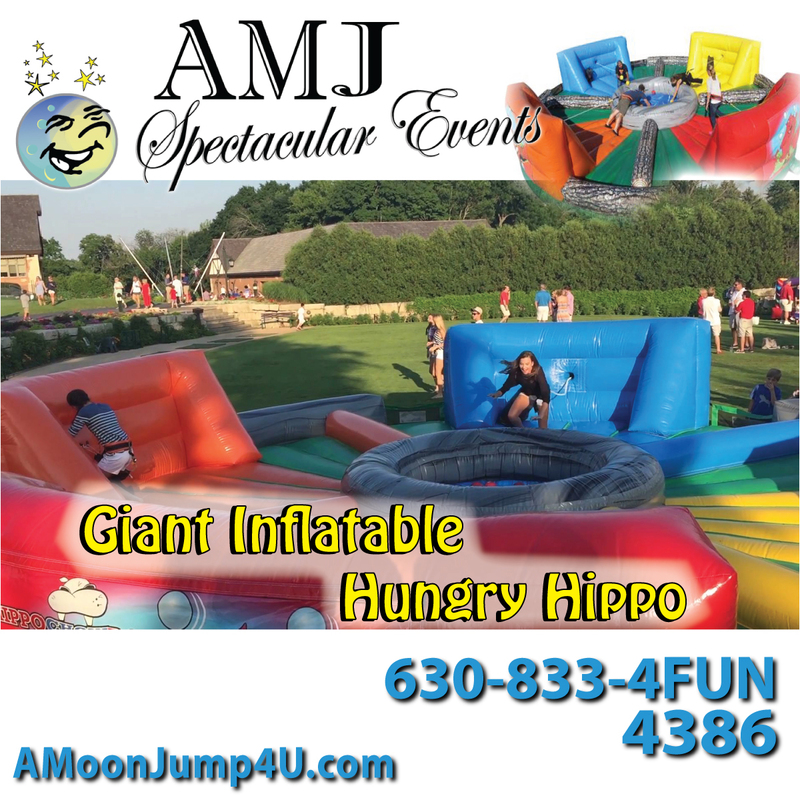 Our giant, inflatable "Hungry Hippos" game is perfect for birthday parties, school fun fairs, picnics, carnivals, family reunions, or other family centered events! Looking for other fast-paced games for your guests to play? Check out Alien Teeth Knock Out, Strike a Light, or Skee Ball! Let AMJSE take care of all the work - we will deliver, set-up, and take down your game, so all you have to do is enjoy! Contact us now to talk about this, other fun games, or about the hundreds of other rentals we have ready to help make your party a spectacular event!